with you all today for tea time! It's a long post, so grab yourself a hot cuppa and enjoy! who came to dinner in my home last week. they will last twice as long! They're in my very favorite old ironstone pitcher. from England called PG Tips. makes a whole 4-5 cup teapot of tea! the flowers on the inside of the teacup, haha. from the sweetest gal named Amy Lynn. you will be glad that you gave her a try! She is SO talented and has something for everyone's taste! is a gift from my dear friend Dawn. The china used today is Noritake in the Lavegas pattern. It's an awfully pretty pattern to sound so much like Las Vegas, don't you agtee? dinner, salad, bread and cake plates and little fruit bowls. my white with gold trim with this china when I use it. But here is my really exciting news! THAT I ACTUALLY MADE MYSELF!!!! with my dear friend Crystal! This was such fun, and was our very first time making them! Making them has always intimidated me.....but no longer! Vanilla Butter Creme & Dark Chocolate Raspberry Ganache. The pink ones were our first try, but came out a little dry because we had to take them out a couple of times. But we were just learning so we didn't care. The second ones - the vanilla - came out perfect! factor in how good they're made. /pats self on back. 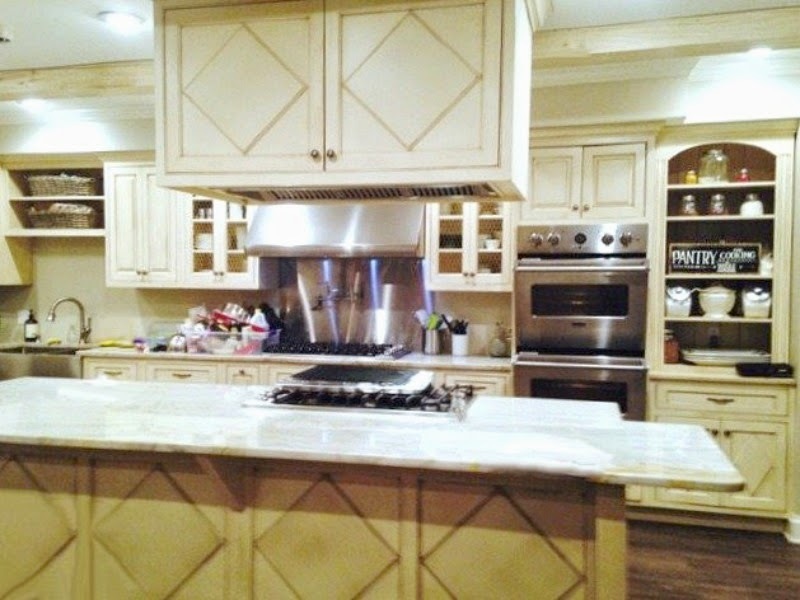 The old house had the most amazing kitchen! pastery chef named Michelle Kovak. She was a fun and patient instructor. I'd love to learn more from her in the near future! and learn more about what they have to offer just click the link on their name above. Our awesome instructor Michelle doing her magic. Crystal piping out our first ones that we dyed pink. My piping our vanilla ones. Done filling the first batch and waiting for second batch to cool. here's mine all wrapped and ready to go home. the vanilla ones are really beige and the pink ones are not orange! I am so glad you stopped by today for tea. Your visits and friendship mean so very much to me! Your macaron are beautiful, Michele. 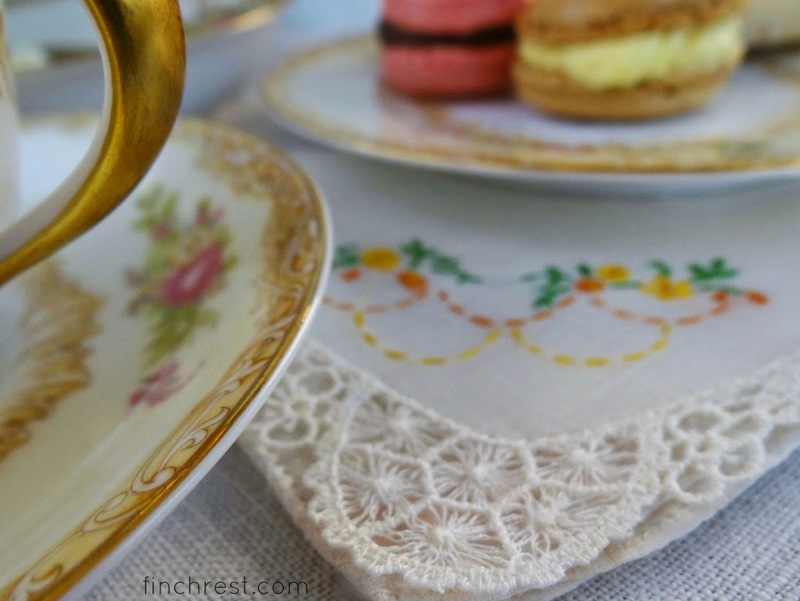 Love your Noritake china! Well done! The macaron look delicious! 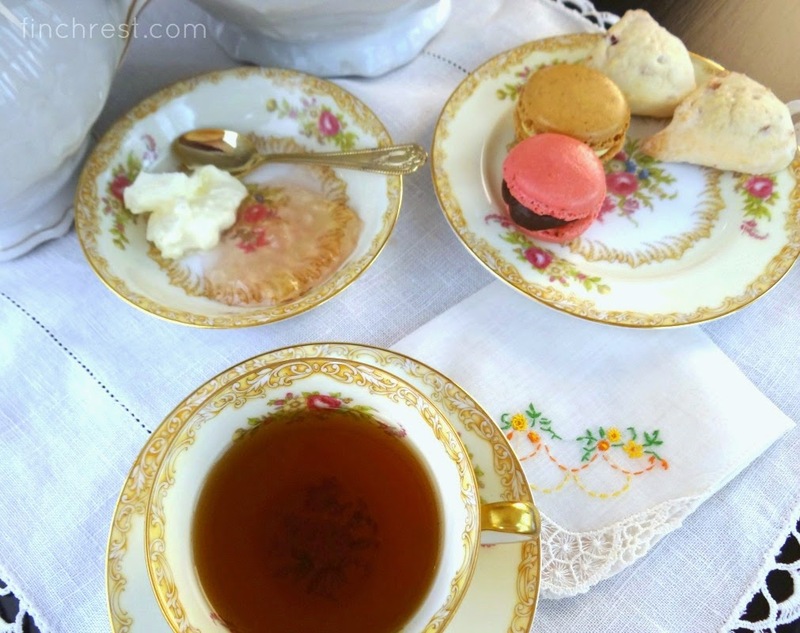 Beautiful post Michele ~ from the flowers to the gorgeous china to the delicious macaron. 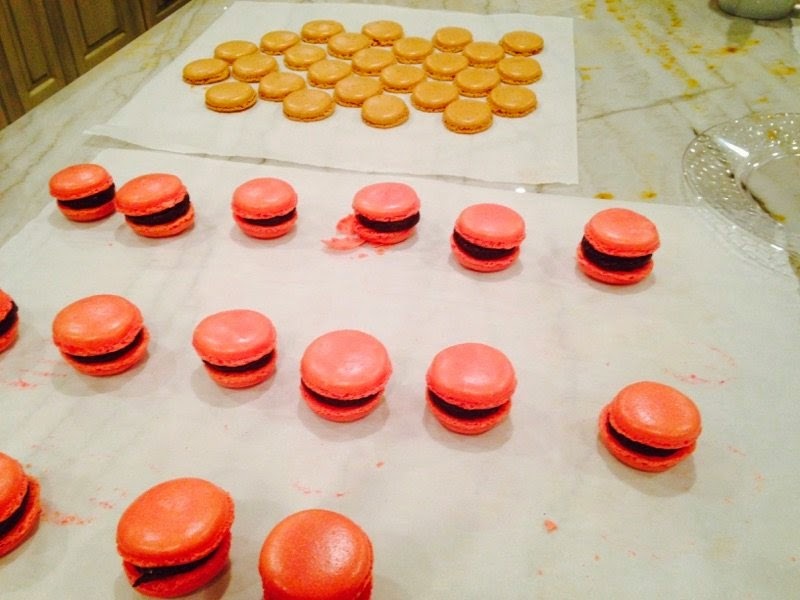 That is so neat that you took a class on how to make macaron. Thanks for sharing. Michele, from start to finish, your posting is lovely. 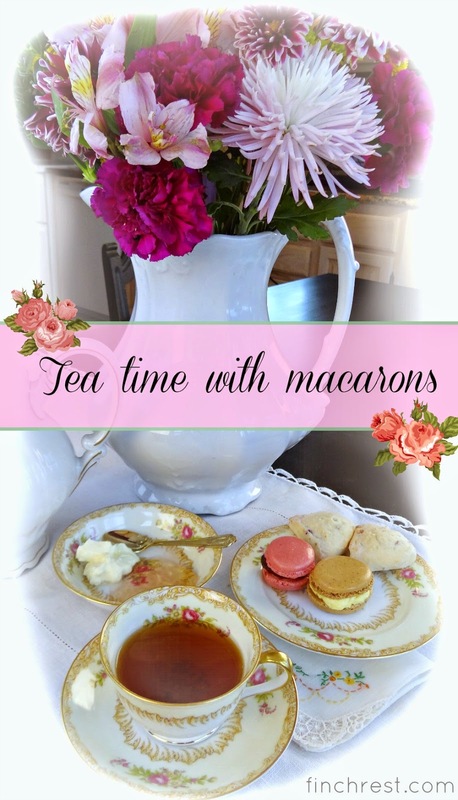 The flowers, the teacup, the macaron, all are beautiful! I am always game to make something new but macaron, no. The trouble is I can't get them here either so I have to do without. So I will admire yours and tell you "well done," my friend! I am excited for you and look forward to many tea times with those lovely sweets. Thanks for joining me for tea and enjoy the rest of your week. You did well with your macarons Michele. I only made them once and the recipe made so many. Now if I want a treat, I buy a couple from a young baker that sells from her home. Oh my Michele - you are an expert now and we would all love to have you teach us! I have heard that they are difficult in our high altitude but since I haven't tried I don't even know. Anyway, all your photos are wonderful and I can see that was great fun with a friend! How fabulous, you clever girl! I have only purchased them...too intimidated to try and make them. They look perfect! And your setting is lovely! What a delight, to go to a class and make macaroon with a French chef, amazing. I would love to have a try, they are one of my favourite treats. Beautiful flowers and beautiful service. Have a lovely week. 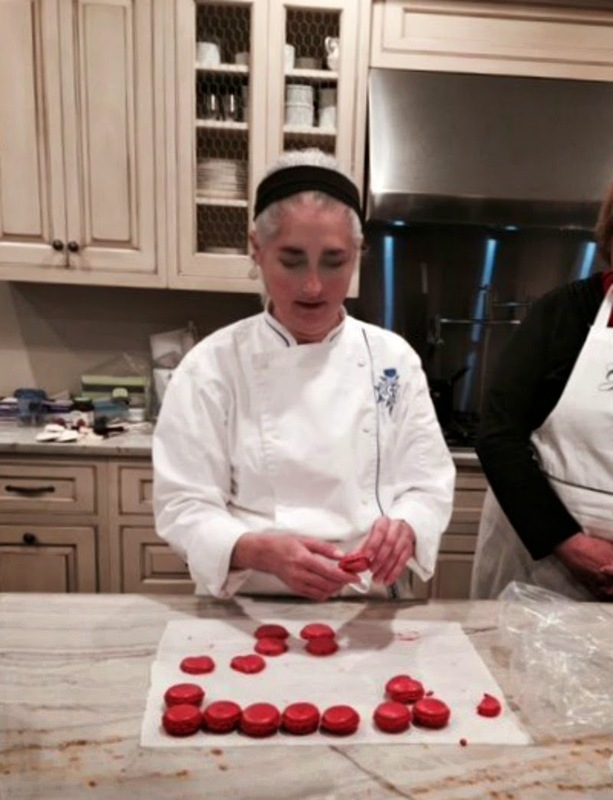 How great you took that class now you can make macarons for everyone! They really look so yummy! 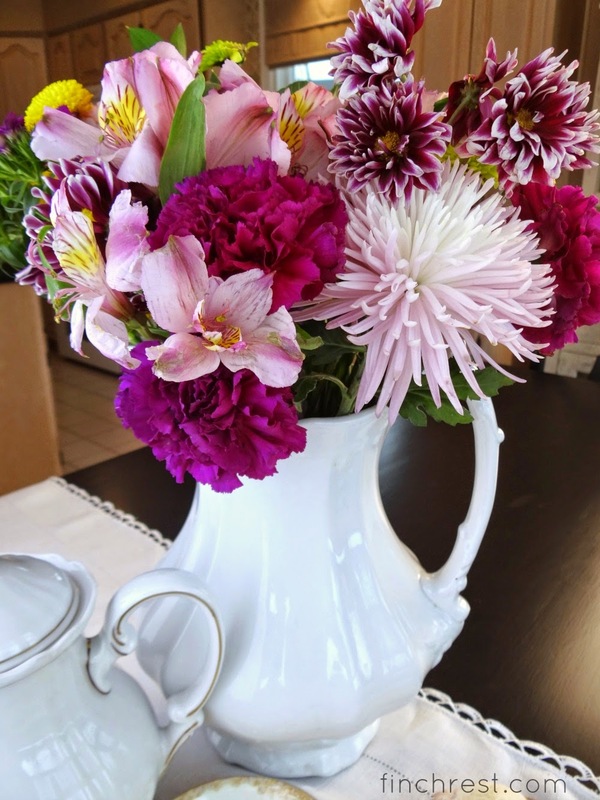 Love the china and the flowers are so pretty in the pitcher. Have a blessed day. Wow! You go girl! Homemade macarons. They sure look yummy -- almost too pretty to eat! Love the china and flowers. Pretty flowers! Love the fancy cloth napkin. 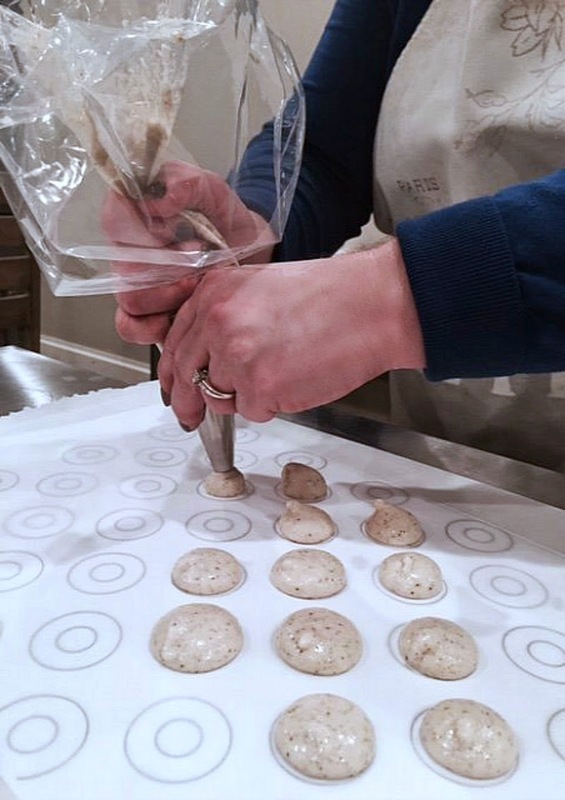 Love how you were able to take a class and learn to make the Macarons. They turned out so nice. Everything looks wonderful. I would love to take a class to learn to make the macaroons. We have a few cooking classes in our area but nothing like these. And those flowers were so beautiful. Your post may have seemed long to you. But I loved every bit of it. Now this was *truly* a sweet post, ha! 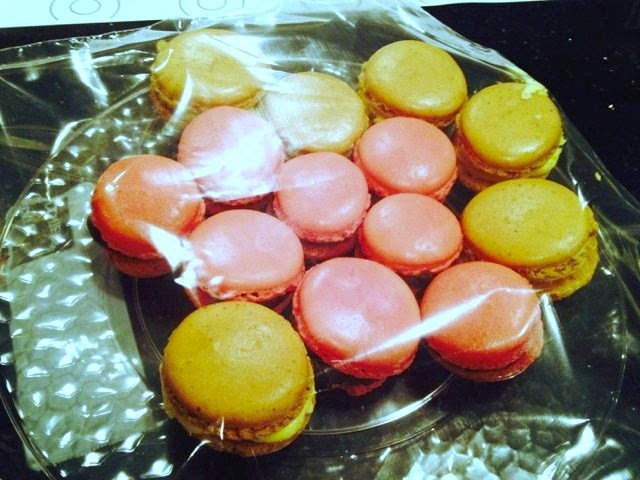 Love that you took the class and had macaron success right off the bat! That was my experience the first time I made them as well, so I'm not intimidated by them anymore, but instead I simply realize they take a little extra time than, say, chocolate chip cookies. That was like a visit to the very loveliest tea room. Thank you for letting me take part in the prettiest little party! What a delightful post, dear Michele. I did grab a hot drink, but it was coffee and not tea :) I agree with Vee, your post was more enjoyable than taking a tea break. What an enjoyable post to savor, Michele! You and Crystal did a wonderful job! HI Michele! Oh, how beautiful your tea setting is! That is the kind of tea my daughter bought when she lived in England. It's a little too strong for me but looks good in your pretty little cup! I'll bet that was fun making the macaroons! Yummy yummy! Thanks for popping in to see me. What a lovely post! Thank you for the flower tips. I had never heard that about the fridge and will be sure to try it!! Your macarons came out so beautifully... especially for a beginner! Flat tops, little feet, all round! I quite like PG tips tea as well, I usually only make a large cup of it. What a nice tea party! 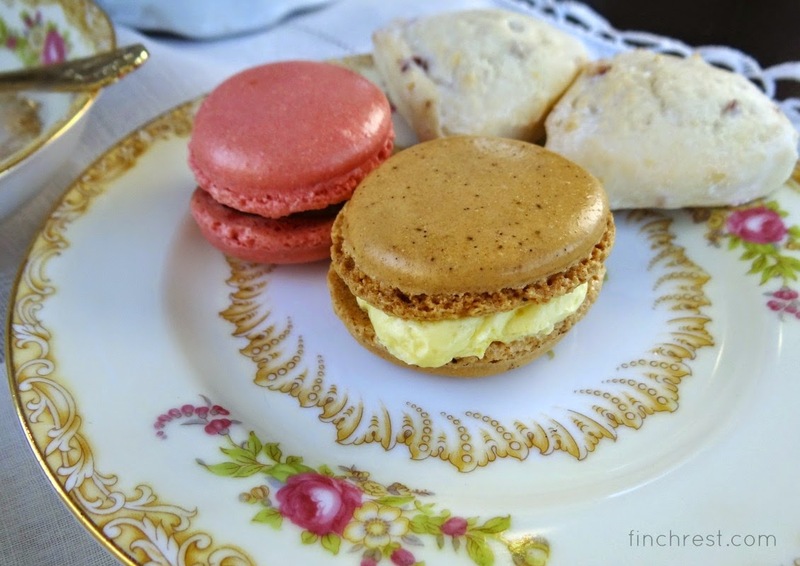 Oh such a pretty tea, Michele...and your macaron are fantastic! I have always been afraid to make them for fear they'd be a disaster. I bet they were delish! Well aren't you talented? Would love to make macarons like that!! 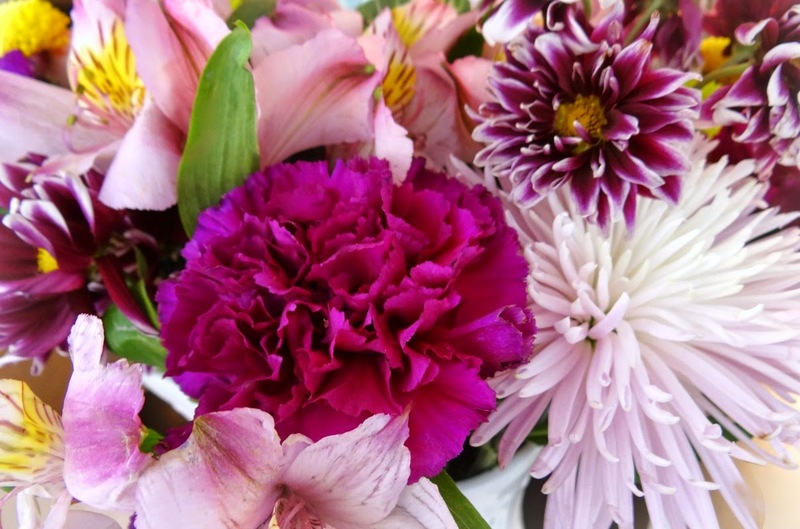 Your flowers are gorgeous and thanks for the refrigerator tip. Never knew that. 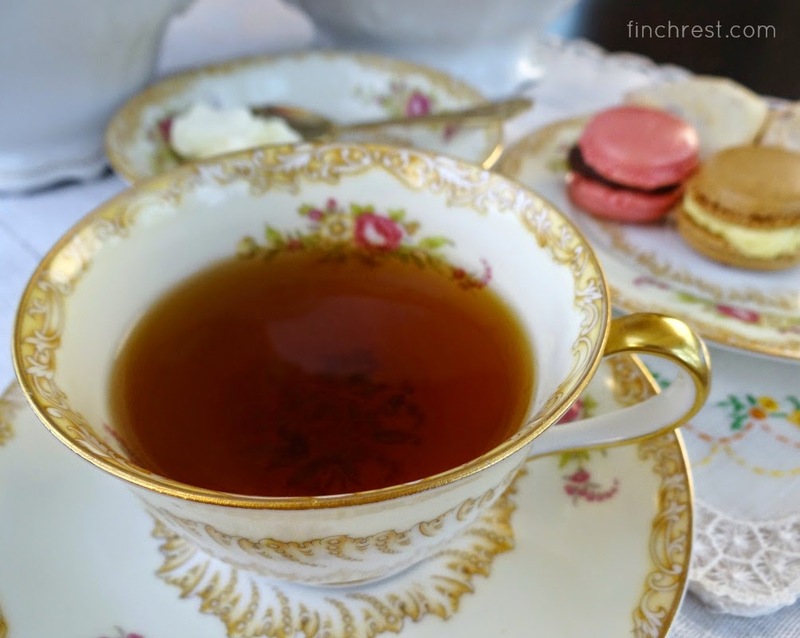 Your tea looks simply divine Michele! Thanks for sharing it with SYC. I bet your macaroons tasted good! Your tea party looked nice too. I love hot tea and sweets. I actually went to a "tea" with a girlfriend many years ago. We got all dressed up and were served tea and little finger sandwiches and other treats. It was so good! 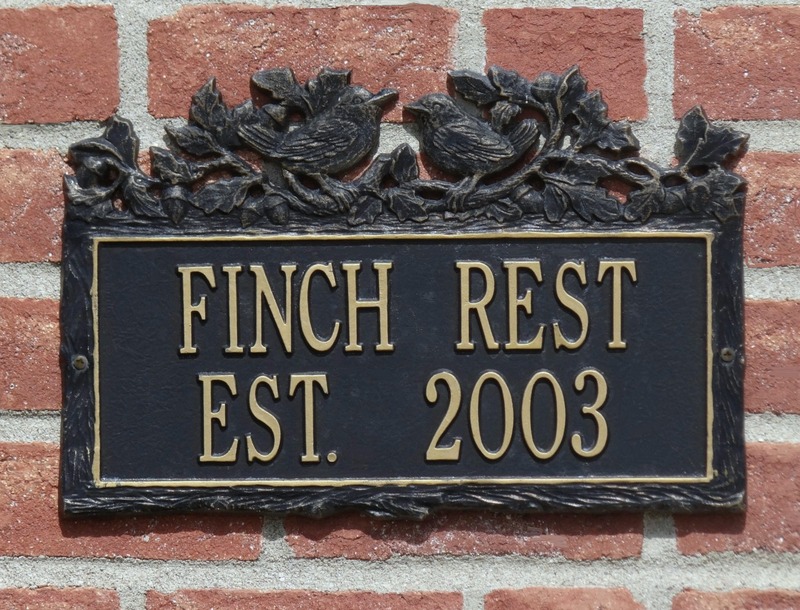 Well, you must have had a grand time taking this class! They look good and they look yummy. I love Etsy and will check out your contact person. Thanks for sharing. Hope you are doing well. Hi Michele! Your Macaron look terrific! I'm very impressed with your skills :). They are on my list of things to bake--I'll work my way up to them one day. I really like your china in this post and those flowers are so pretty! Thanks for the tips on keeping flowers alive longer. Wow! This looks like tons of fun! 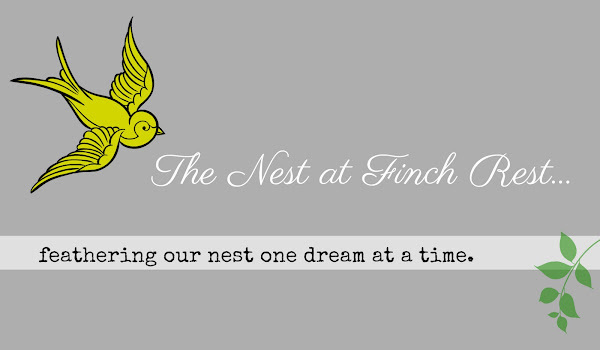 A beautiful post ... & a very pretty blog. I love your header ... super sweet bird & theme. Oh, those macaron look so professional Michele! How much fun to learn how to make them. They're so pretty, and very chic. 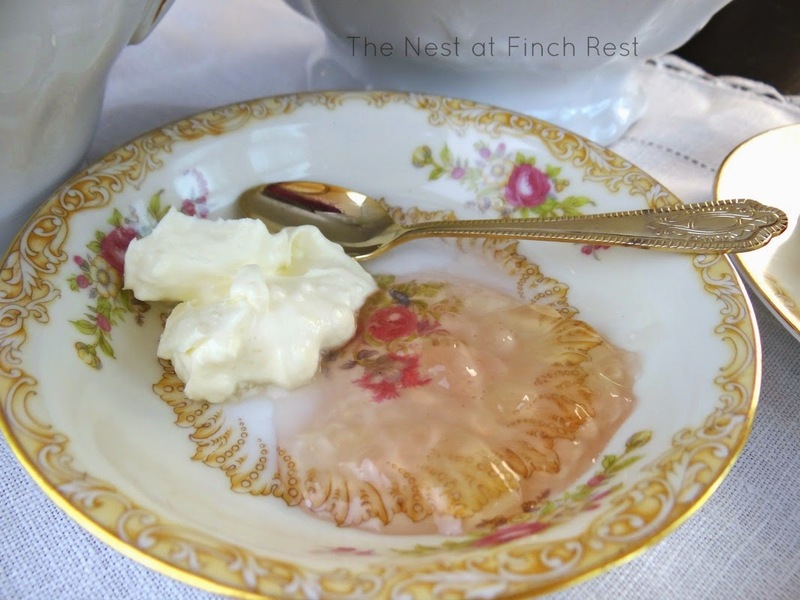 The rose petal jelly sounds lovely, like something out of a fairy tale. And those dishes are beautiful. Lovely, lovely tea today, just perfect! 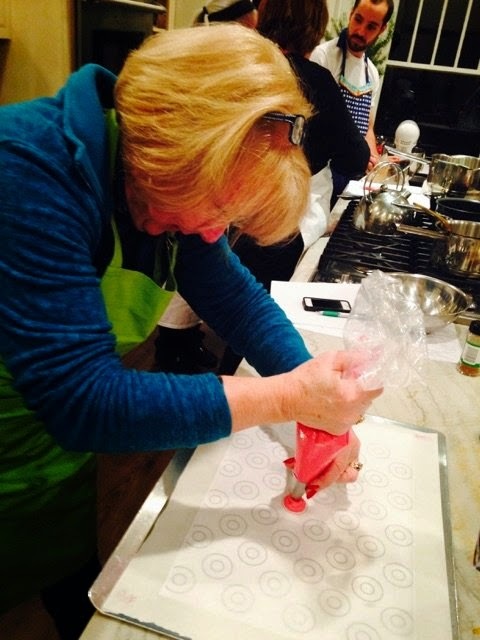 What fun to take a macaron class with your friend, Michele! I am impressed with how well they turned out and I know they must taste fabulous. Your china pattern is swoon-worthy...I am sighing over here. It would be a treat to sit and have tea with you. Love all the pretty pretties!!! Does the cauliflower bites have onion in them? Would like to try and make those. Pink Chintz Teacup I Won!! !